Banke can supply axles and spacers in any number of configurations. 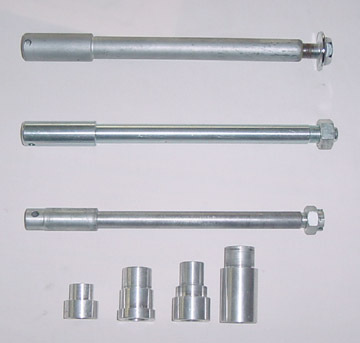 Axles shown at right are examples of "step" type axles with main body diameters of 15mm through 20mm and a step diameter of 19mm through 25mm. Lengths available to suit nearly any triple clamp width. 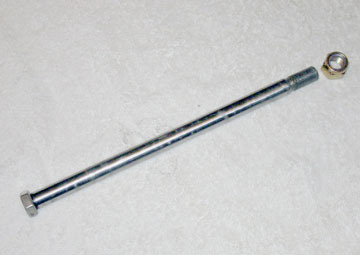 Custom spacers can be made to suit all axle diameter and width requirements. Spacers shown are several configurations made to customer spec.